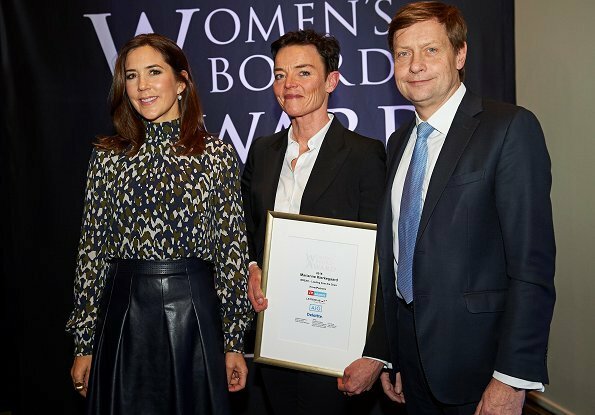 On January 26, 2018, Crown Princess Mary of Denmark attended presentation ceremony of 2018 Women's Board Award held in Copenhagen. 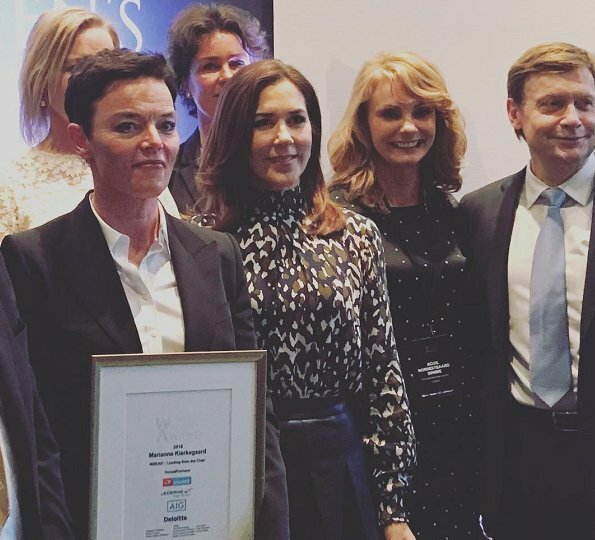 This year, the award was presented by Crown Princess Mary to the winner of the award, CSM's President Marianne Kirkegaard. 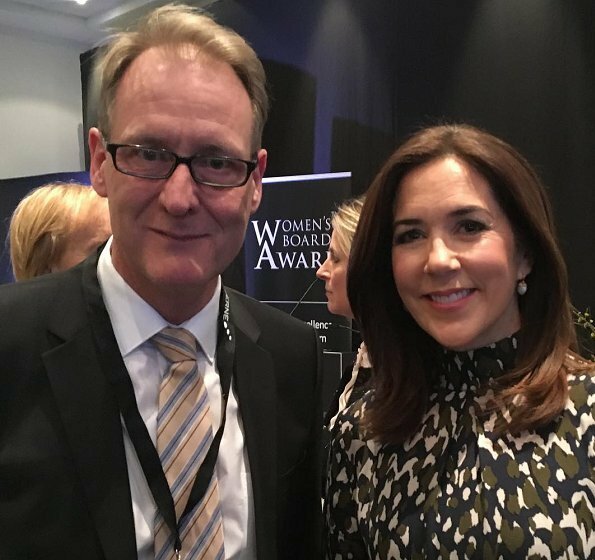 Afterwards, Crown Princess Mary and other guests attended a reception held on the occasion of the presentation ceremony. 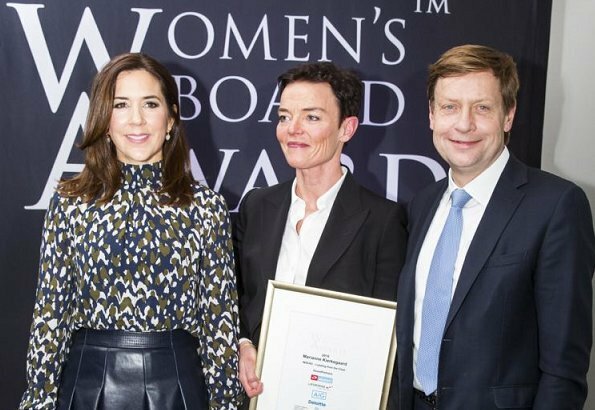 Women's Board Award was given firstly in 2014 and the purpose of the award is to support process of increasing the proportion of women in administrative levels in Denmark. I hate camouflage fabrics so this is big no from me. Not the best I have ever seen. 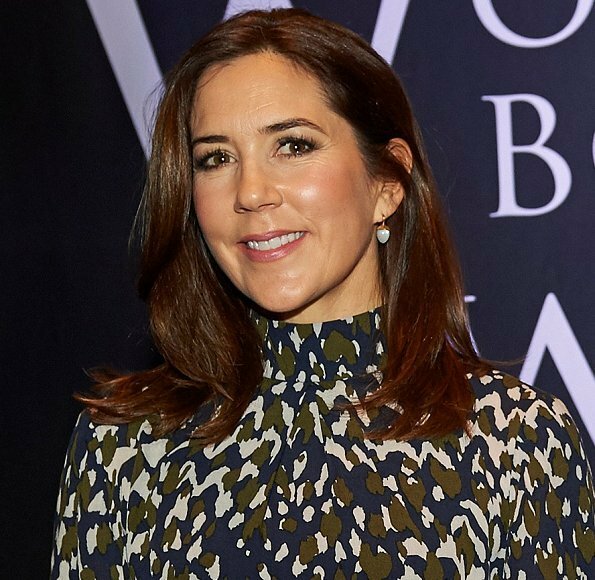 IMO all these royal ladies don't have to wear something new for every occasion, and she has plenty of outfits that she has only worn once or twice in public. I think in Denmark it's not like in Britain, where whenever Kate and now Meghan wear something new it flies off the shelves and is out of stock in a matter of days. Spot on ……… I agree 100 %. In Mary's case, it is probably due to the fact, that she has remained a kind of international nouveau riche more than a Danish royal and future Danish queen with the values ​​that the royal house has so far represented by Queen Margrethe. Does her leather skirt have a see-through panel at the hem??? Leather can be very elegant, but this is not how it´s done. Leather needs simple, no-fuss items as complements, and never in a similar colour as the leather item as it will fotograph poorly together and look jarring. 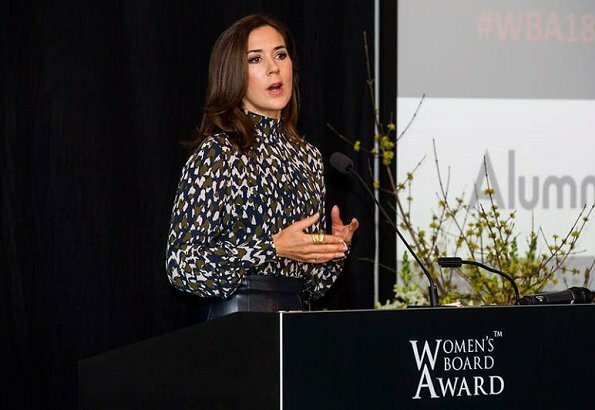 Mary´s outfit is guilty of that, and the leather skirt with those pleats and the strange panel at the hem, the ugly and busy blouse, and those painful-looking shoes is just a huge mess. I'm going to be a dissenter. I think she looks good, and appropriate for the event. The blouse fabric didn't strike me as being "camo", just a pattern. Now that it has been pointed out I still like it. Also, I think the skirt is interesting. 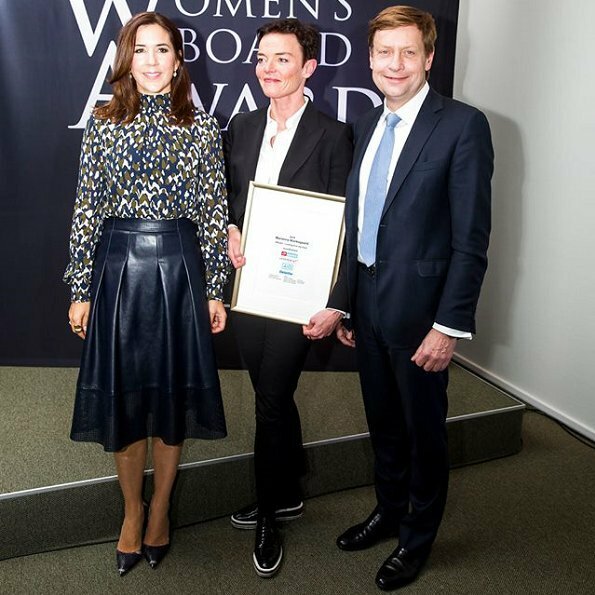 She is slim enough to get away with (a) leather and (b) pleats, and the hem treatment lightens it up. So do I. Mary looks modern and chic. I don't like camouflage either, but somehow I didn't even noticed that it was, and for some reason I don't hate this blouse. I do like the skirt quite a bit, I don't think this is a 10, but all and all she manages to look fine. She wore this same blouse a few days ago paired with pants. As for the skirt, I think it's new.